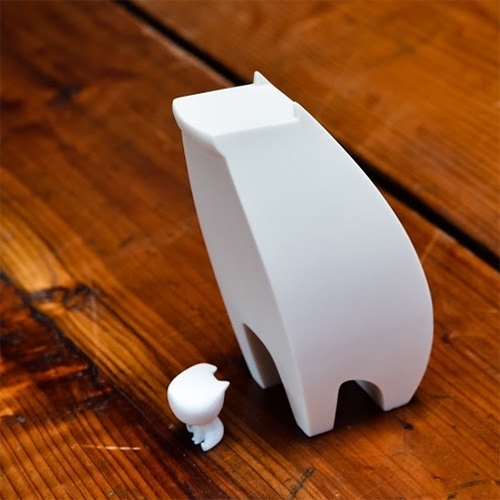 Martin Hsu's "Kindreds" designer toy featuring hand cast resin pieces of a Girl and her Bear. This first edition "Powder" stands 7" & weighs 2lbs with a stone white finish. The Girl can hide underneath the Bear. 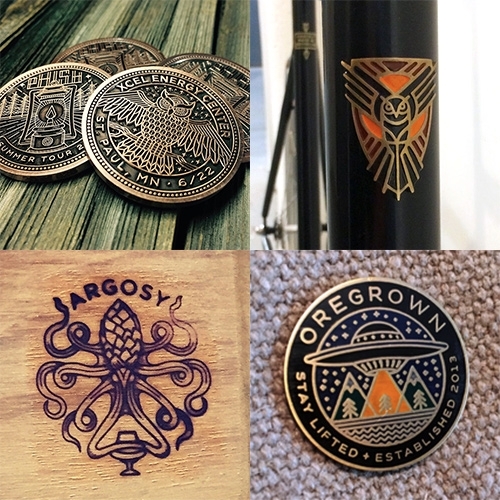 Brian Steely's dribble is filled with inspiration - it's beautiful to see how his line illustrations/logos translate into everything from brands and pins to coins and bike badges and much more! Sonos opens a store in SoHo, and Design Milk has a look inside the store's funky tiny home like spaces. 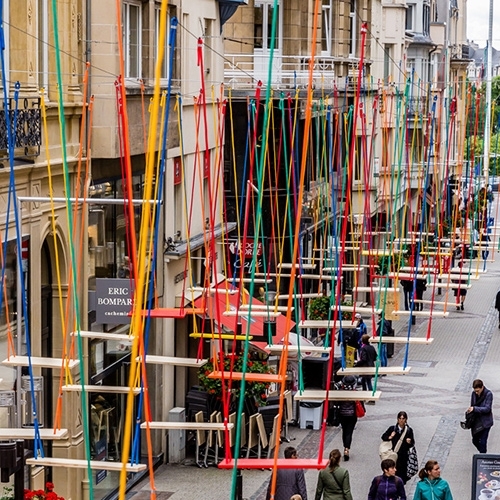 Max Mertens "Swings" - an installation with 450 swings hanging above the Rue Philippe II and the Avenue de la Porte-Neuve in Luxembourg. Installation runs until August 2016. Apothecary packaging by The 6th. Great series of book like packages covered in stunning wallpaper patterns! 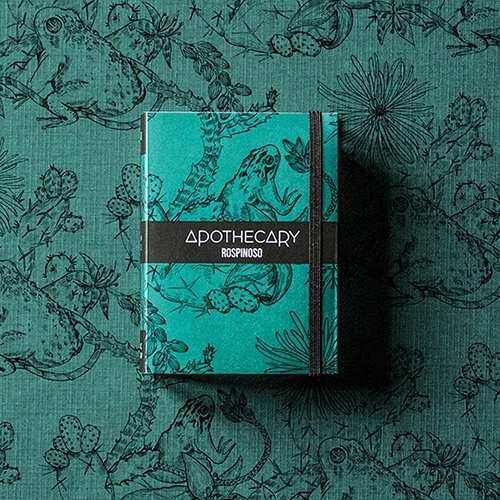 "Apothecary is a brand of beauty products 100% organic. The main products are soaps, all top quality with italian ingredients only." "New York Designer Alissia Melka-Teichroew Melds Practicality and Play: 'Does the world really need more stuff?' and other ponderings of modern design, New York City" Inspiring interview with byAMT's Alissia at Freunde von Freunden. 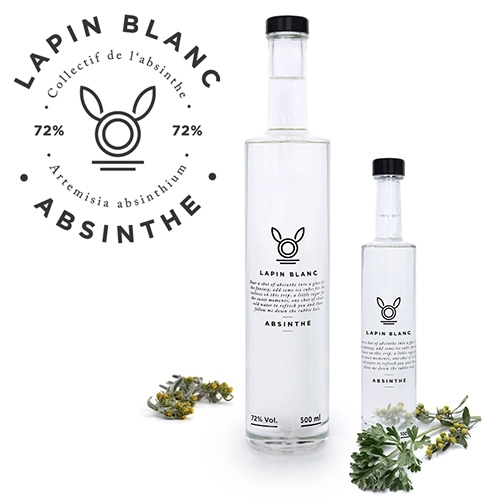 Lapin Blanc Absinthe. Lovely minimal rabbit logo! 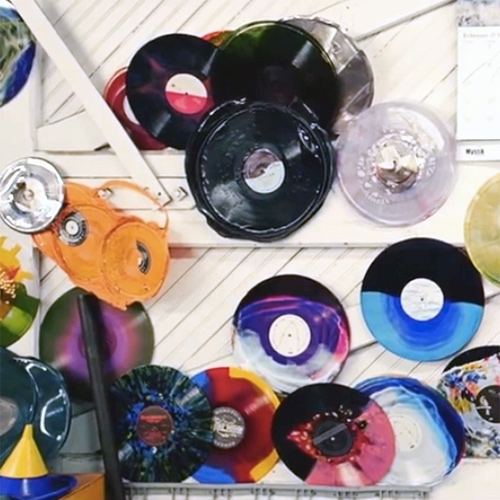 VIDEOShort documentary on how vinyl records are made through the perspective of Cleveland pressing plant Gotta Groove Records. The Flying Box Villa - Architect Josué Gillet’s studio 2A Design used shipping containers to built this prefabricated house on a tiny plot in a rural village next to Rennes, France. 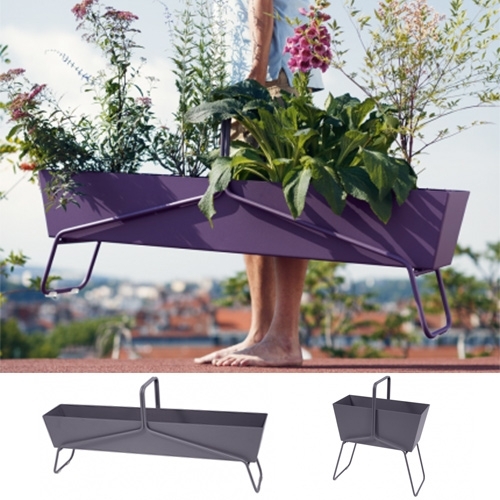 Fermob Planter Baskets at Horne. Available in long and tall and a rainbow of colors. Feet and trays separable. Protected with anti-UV powder coating. 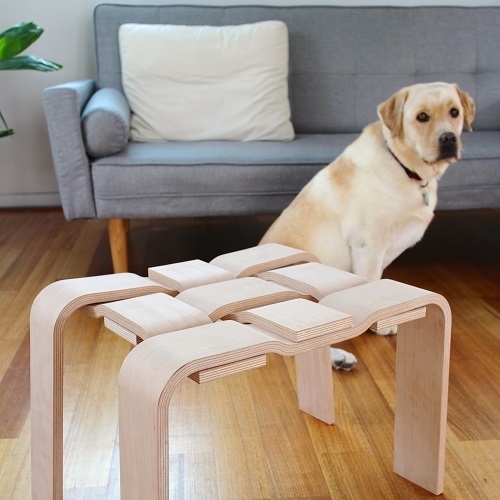 Benj&Soto have created the Sit on Everything soft furniture collection. 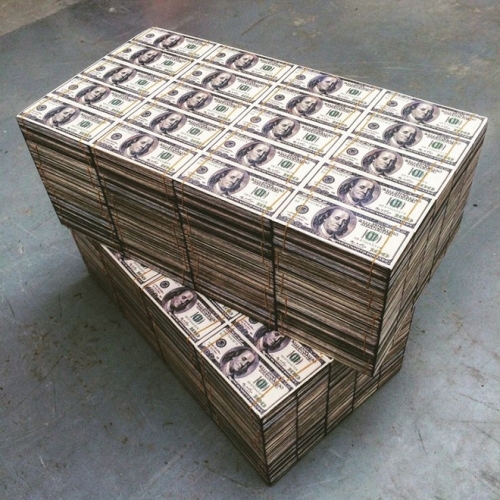 Inspired by the Banking Crisis, seating ranges from 3D fruit, money to 24kt gold leaf poufs. 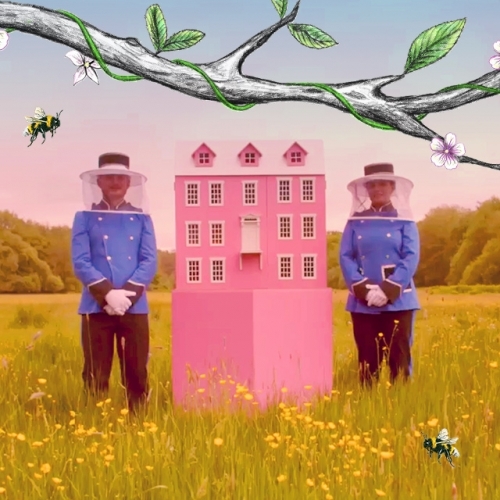 Taylors Tea have built a Bee Hotel in the style of The Grand Budapest Hotel. 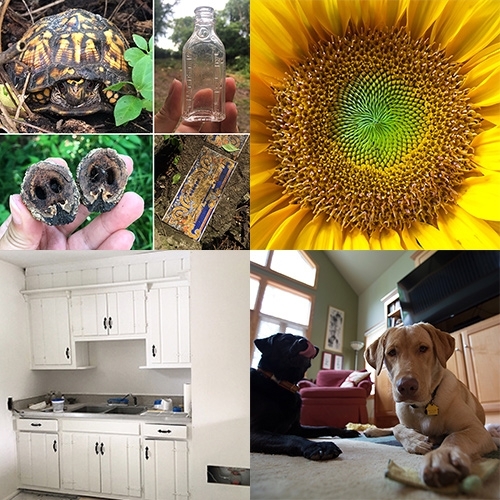 It highlights how solitary and city bees need our help (as well as the honeybees!) and to thank them for helping us create a world of flavour! 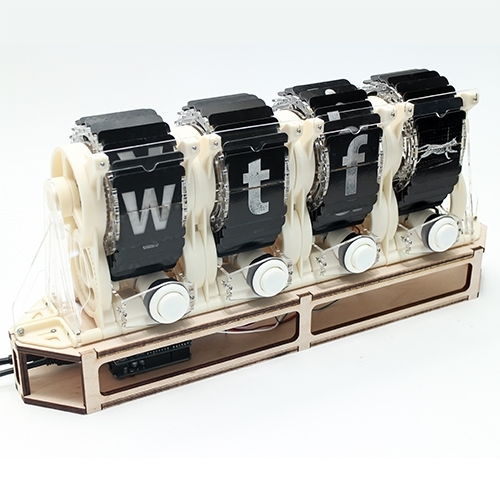 This open-source, modular Split Flap Display by Jonathan Odom lets you communicate in three letter acronyms and watch a cat video, all with a satisfying mechanical click. 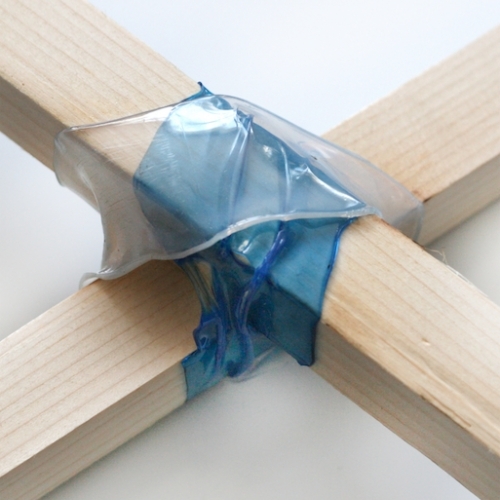 See how it was made and how to make your own. The designer Shlomi Eiger is "striping" simple classic toys from their decorative layers and creates an alternative "naked" version of them. 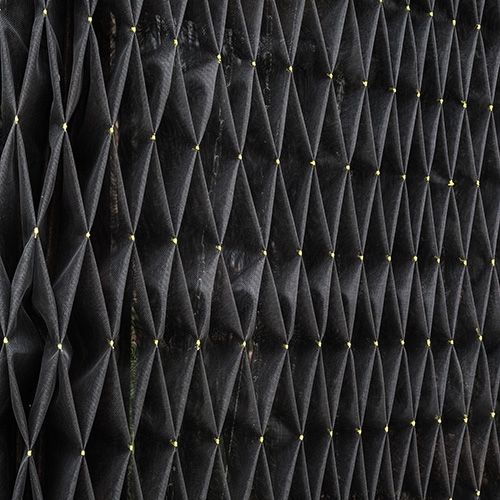 Substance Architecture has created an exterior curtain material from hand-pleated insect screen that allows air flow while obscuring views from varying angles. 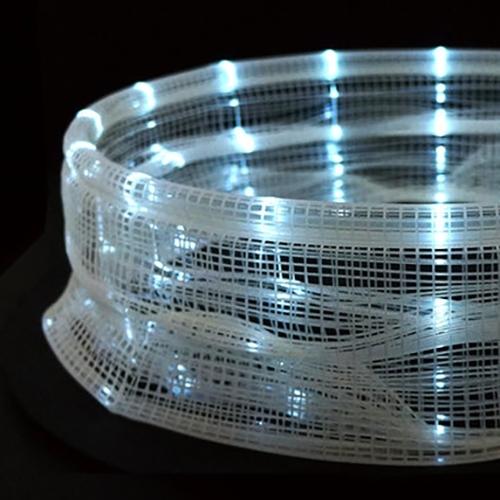 VIDEOAkinori Goto's 3D printed zoetrope is a beautiful study of human motion expressed in a sculptural object. 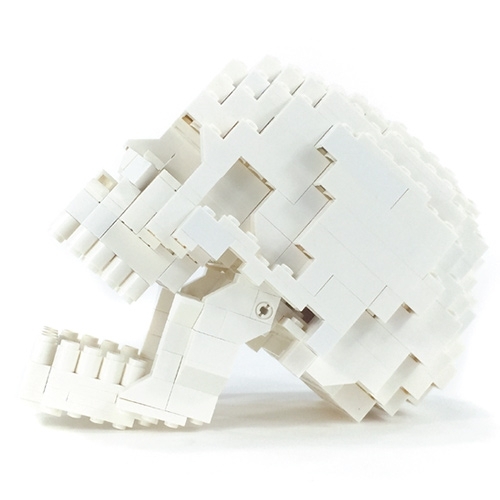 This anatomically correct human LEGO skull by Felix Jaensch has an articulating lower jaw & even includes one interchangeable gold tooth. 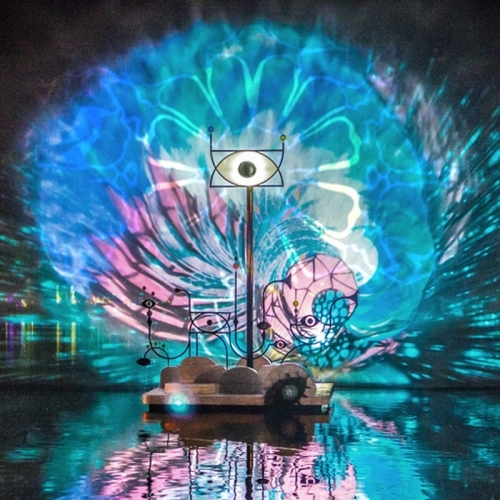 VIDEOPeriscopista is an interactive mist installation that connects the crowd and the giant mist screen through small persicopes with sensors. By Thijs Biersteker, Amp.Amsterdam, Better Future Factory and Univate. BIG SKUM Pavilion for Tuborg Brewery, Chart Art Fair, Aros Kunstmuseum in Copenhagen. 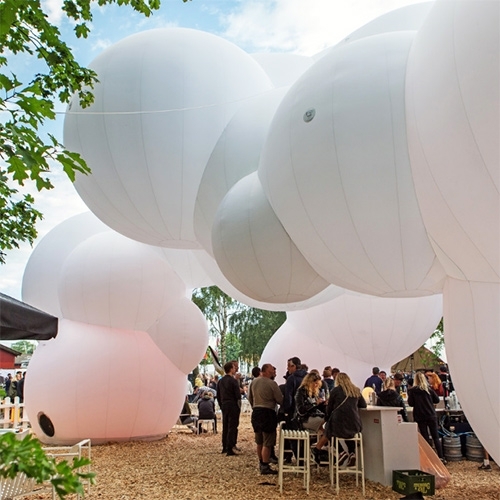 Love this inflatable mobile structure! It is powered by two wind trubines and fully inflatable in 7 minutes! 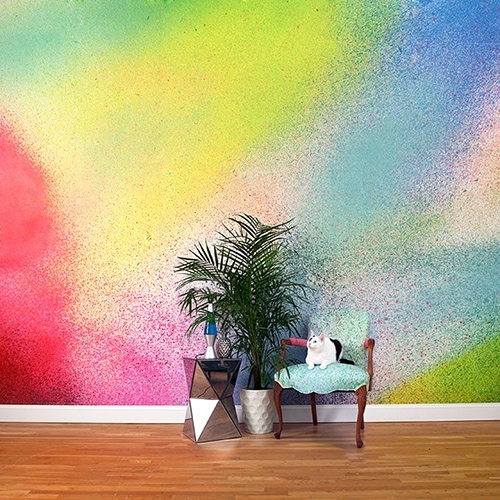 Flat Vernacular's The Heavens Collection of wallpaper is just what those who love the spray painted look, but lack the spray skills can cover their walls in. 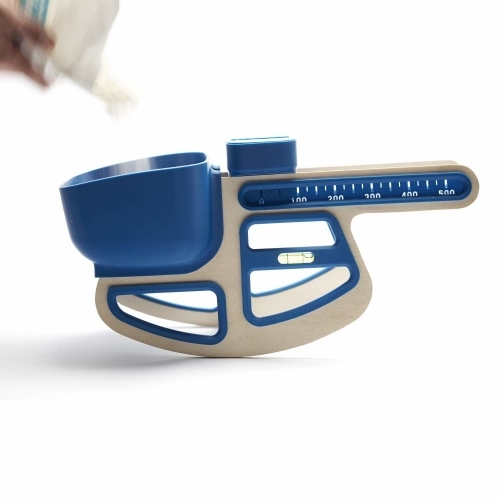 Gravity is a fun mechanical balance for the kitchen, it is inspired by the old scales. 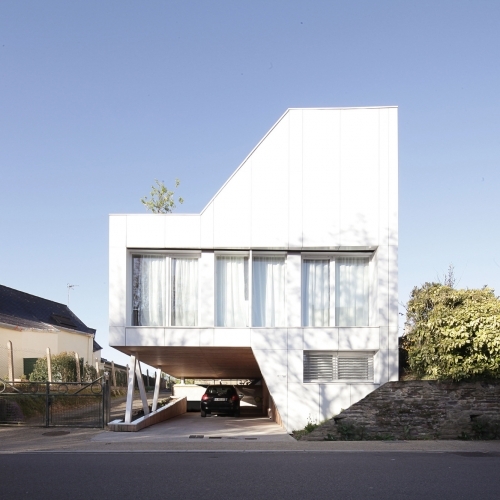 It is based on a principle of cantilevering and balance. This DIY project was made thanks to 3D printing and laser cutting. 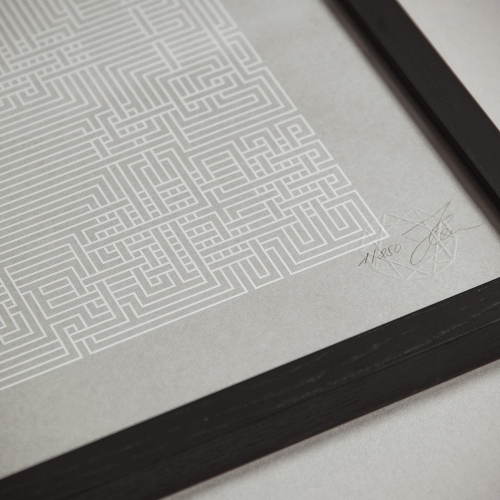 "Not all those who wander are lost"… This incredibly detailed Maze by Hamburg design studio Stellavie will challenge your sanity for good! 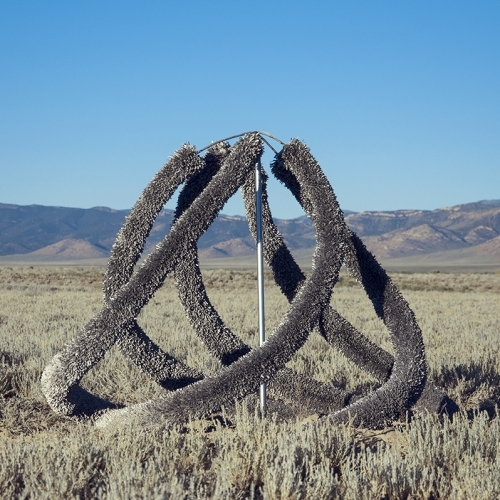 K. Carrington's sculptures, all environmental installations contain a sense of serendipity-any unsuspecting passersby can stumble on them and experience the art in its purest form, without any institutionalized preconceptions. NYTimes "Forget Beanbag Chairs. Amazon Is Giving Its Workers Treehouses." 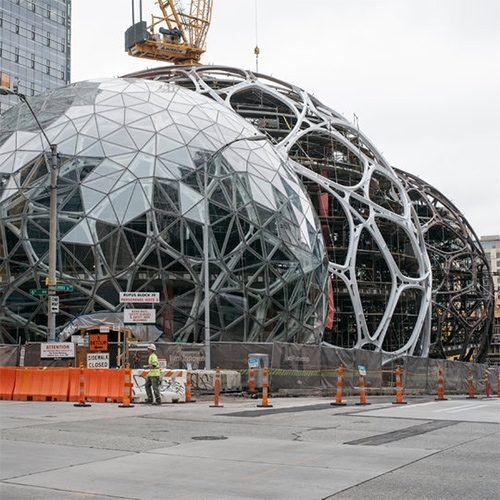 - In addition to a 1 acre greenhouse in Redmond, they are building 3 spheres in downtown Seattle! 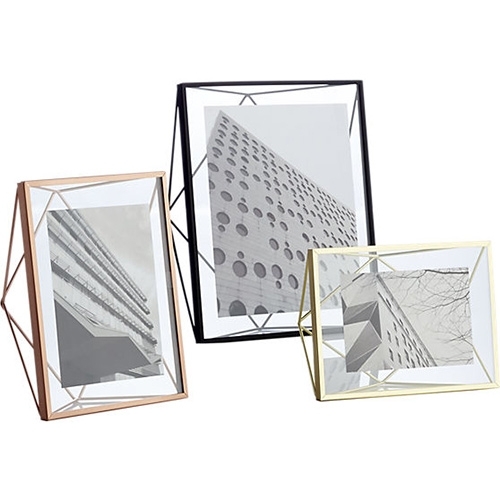 CB2 Prisma Frames - Handcrafted of matte black, gold, or copper powdercoated steel, rods angle a geometric form that freestands vertically or horizontally to float a photo in clear glass. Ohhio - Epic knittings made with bare hands (arm knitted!). Blankets, scarves, and cowls made of 100% merino wool. 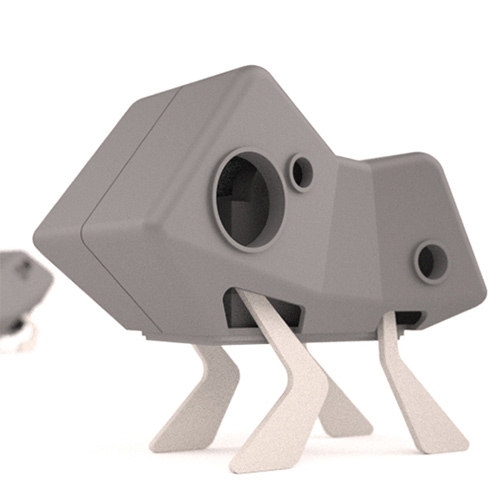 Ohhio is a design studio and workshop based in Ukraine. 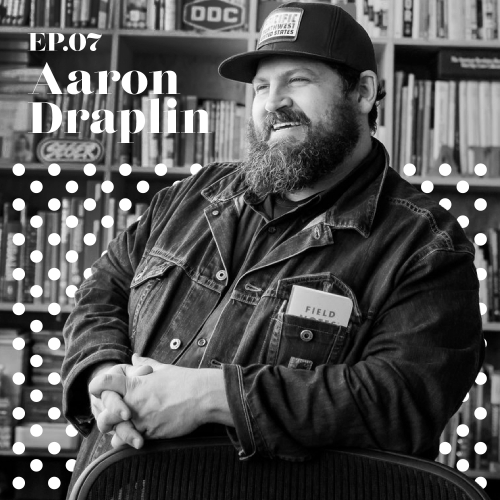 Aaron Draplin tells the story behind the creation of his new book "Pretty Much Everything" on the JK Design Podcast Episode 7. Vintage Industrial fluorescent pendant lights. A Trainspotters exclusive, based closely on the original model manufactured in East Germany in the 1950’s. Made to high specification in the UK in cast aluminium with steel and glass components. 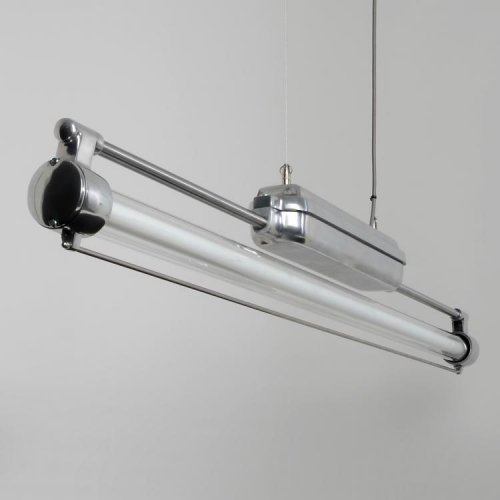 36w T8 fluorescent warm white tube. 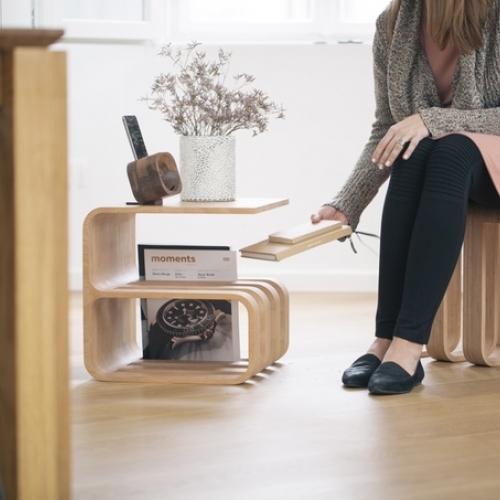 The Woodieful Chair isn’t limited to the sitting function of a chair can be used as a end table. 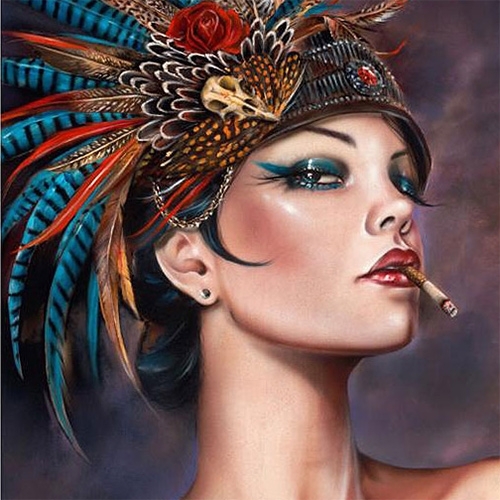 Brian Viveros "Viva Vaudeville" and 'Fearless' prints available today at Thinkspace Gallery. Stunningly tempting! 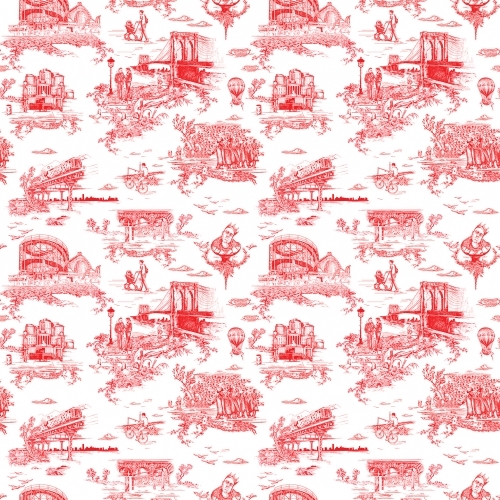 Mike Diamond of the Beastie Boys wanted a Brooklyn-inspired toile wallpaper to line the walls of his Cobble Hill brownstone. 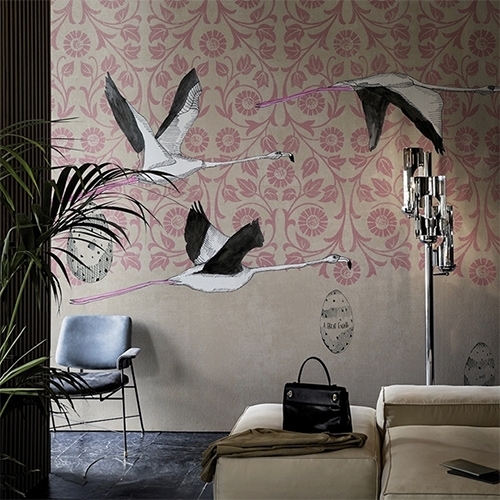 He approached Revolver New York to execute his vision artistically and Flavor Paper to produce the design as wallpaper. 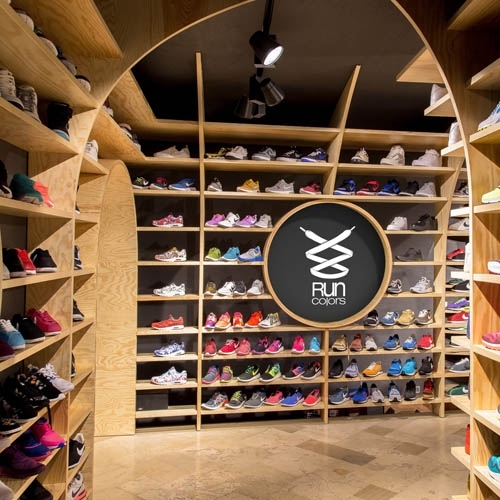 Run Colors in Poznan. 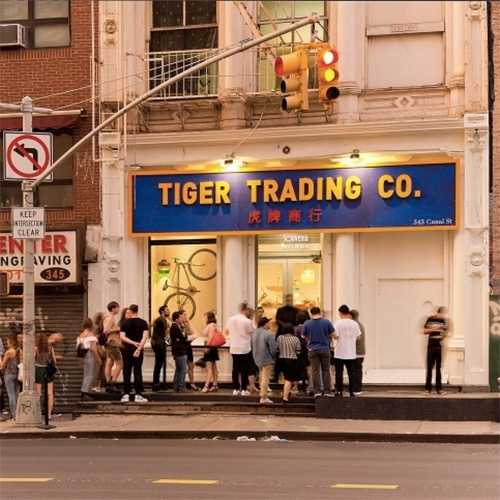 The temple where sneaker cult rocks. The shop is in the ground floor of an old tenement house where arched ceilings remind you of Gothic cathedral ceilings. 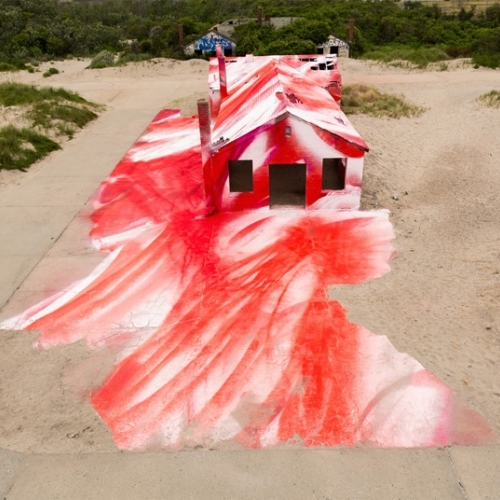 Katharina Grosse turns Ft. Tilden's decaying aquatics building into a sublimely exhilarating exterior painting with her unique spray painting technique. Australian furniture design company Nice for Nice has combined solid timber and the weaving processes to create the Warp & Weft stool. It's on show at Furnitex Brisbane this weekend. Chicago based furniture company, 31 & Change, releases 16 one-of-a-kind skateboards for summer 2016. 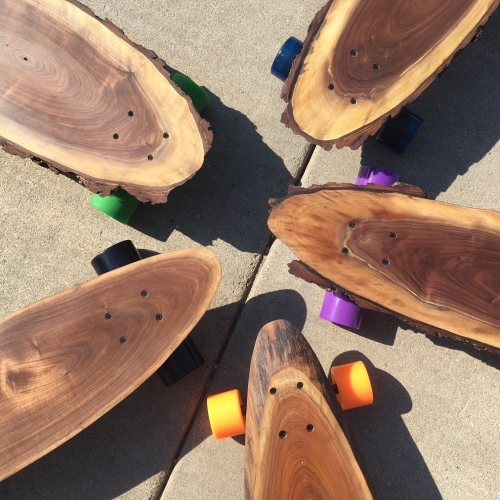 If Tony Hawk and Paul Bunyan had a skateboard baby it would be these limited edition Logan Blvd boards. Made from live edge walnut slabs. 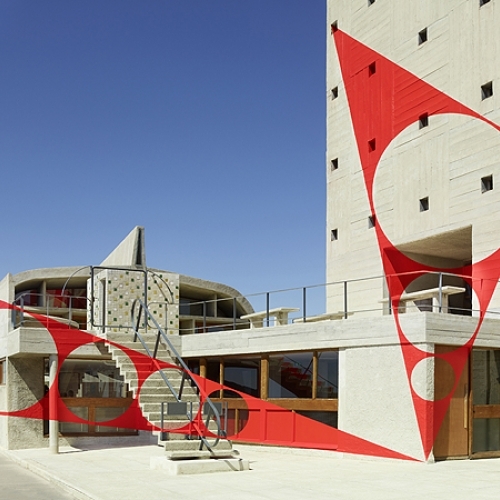 Felice Varini new installation for the MAMO centre at le corbusier's la cité radieuse (Marseille). 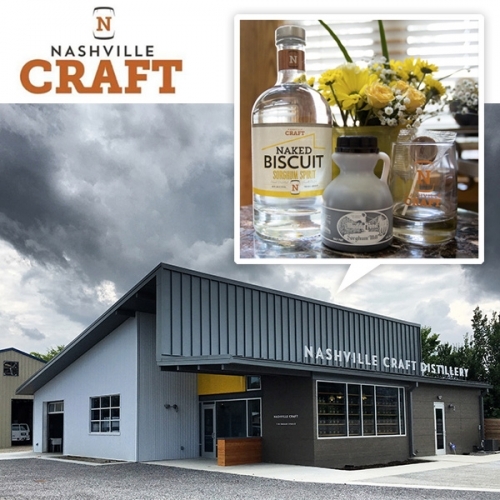 FEATUREDNashville Craft Distillery and their Naked Biscuit Spirit (made from 100% local sorghum syrup!) - a new distillery housed in a gorgeous building, with great signage, and a unique drink! 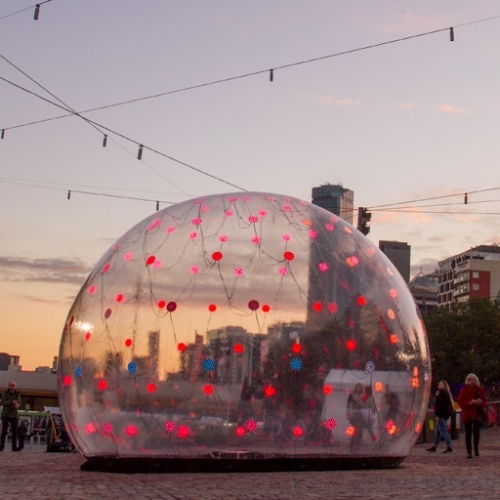 Sonic Light Bubble, a living breathing public art installation responds with visuals and sounds when approached. lovingly sculpted by ENESS exhibited in Melbourne's Federation Square. 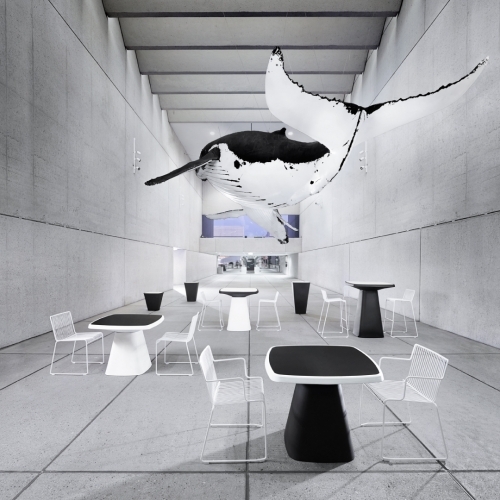 Minima Moralia by Tomaso Boano & Jonas Prišmontas. 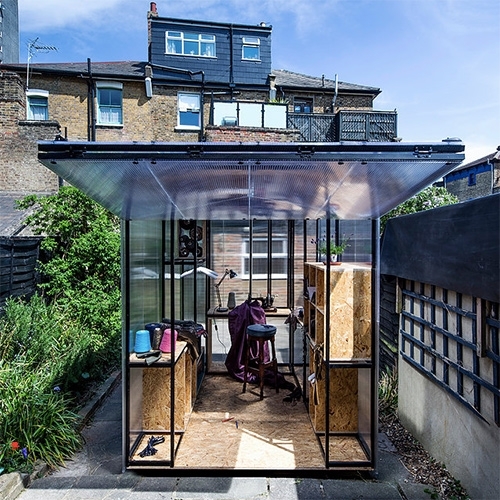 Minima Moralia offers tiny, cellular pop-up spaces to be inhabited by designers, sculptors, painters, musicians and other creatives. 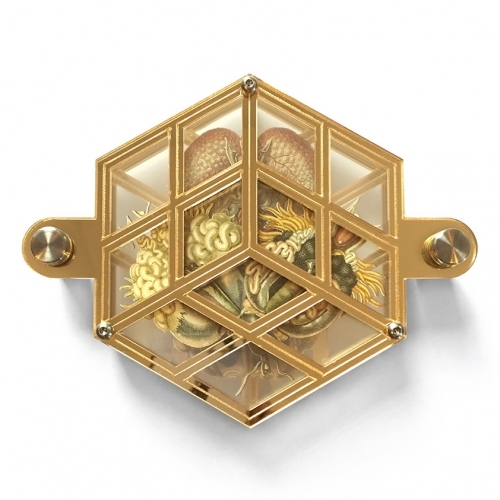 Collaboration between a designer Julien Rouillac and a photographer Desirée Pfeiffer merging the worlds of 3D printed jewelry and photography. 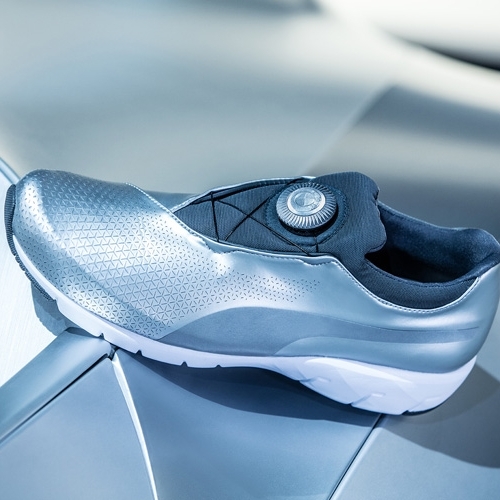 Puma has teamed up with BMW's Designworks division to develop these ultramodern shoes inspired by the GINA Light concept. Wall & Decò Great Escape Wallpaper by The Elusive Otter. Fun flamingos! VIDEOTiger Trading Co. - Singaporean Tiger Beer hosts a pop up shop in NYC on Canal Street amongst all the cheap chinatown vendors to show off 700+ high end designer goods from Asia. Still Stuck in Here is a beautiful geometric mirrored sculpture. A portion of the proceeds go to help fight Zika. Bottle It - How to distort, transcribe and convert the properties of a plastic bottle? After several experiments, a collection of various linking elements appeared : some are resistant to traction, torsion or bending, in 1, 2 or 3 axes. Pat Kim Nest Mortar & Pestle. Inspired by woodpecker nesting holes, the mortar houses the pestle when not in use. Mortar is hand turned American Sycamore, finished with mineral oil and beeswax. 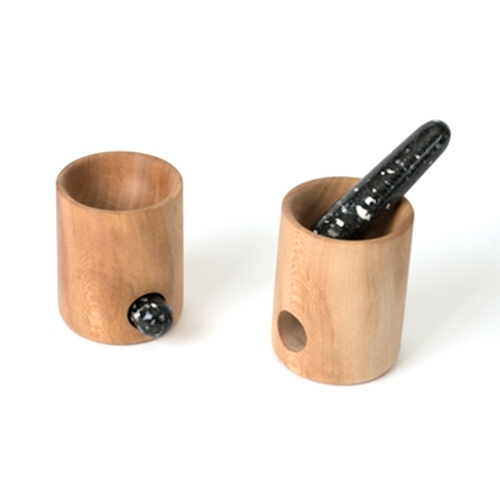 The Pestle is Black Tourmaline, speckled with white quartz.